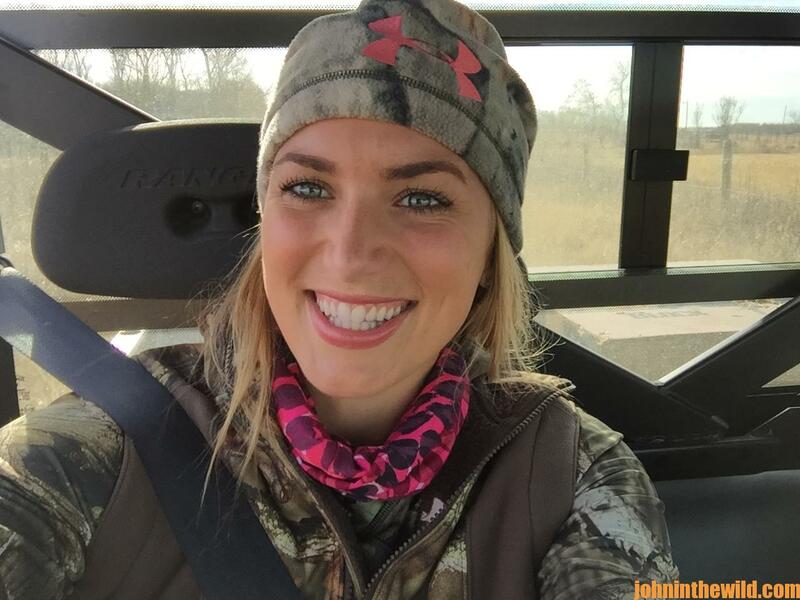 John’s Note: Eva Shockey can’t remember a time that she wasn’t around hunting. Eva’s mother, Louise Shockey, was a ballerina. Following her mother’s lead, during the early part of her life, Eva leaned heavily toward dance. She was a ballerina, she competed in ballroom dancing, and she taught dance. She went on hunts with her dad, well-known outdoorsman Jim Shockey, but never really wanted to take an animal until she was in her early 20s. Today, she’s one of the most recognized lady hunters in the hunting industry. 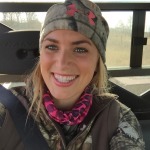 She co-hosts “Jim Shockey’s Hunting Adventures” (www.jimshockey.com) TV show and hunts all over the world with and without her dad. The big buck I took in Saskatchewan this year was the most disappointing yet the most exciting hunt ever. The hunt was disappointing, because this hunt on our family ranch in Saskatchewan always had been a family hunt for me and my dad. But Dad was in Africa and wasn’t able to come home to hunt with me. That was a bummer, since I really enjoy hunting with my dad. The hunt was also tough, since we put in 9 days of hard hunting in cold weather, before I had the opportunity to take a buck of a lifetime with my bow. I’ve shot a bow for a long time, but I’m relatively new to hunting with my bow. I was just too nervous to take a shot at an animal with my bow because I knew I only had one, perhaps two, opportunities to take the animal. But on this hunt, we’d made the decision that win, lose or draw, I was going to try to take a shot at a buck with my Bowtech Carbon Rose bow (http://www.bowtecharchery.com). I pull 50 pounds, and I shoot a fixed three blade Muzzy broadhead (http://www.muzzy.com/). I’ve only been actively hunting with a bow for about 3 years now. When I’m hunting with a bow, I really get anxious about only having one shot, and that shot has to be perfect. With a gun, once I’ve got my gun sighted in, there’s not much question that the bullet’s going to hit where I’m aiming when I squeeze the trigger. But when I’m hunting with a bow, I find that’s not always what happens. Most of the time, the arrow will go where you want it to go. 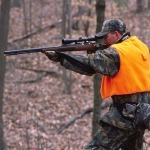 However, there are many more steps to go through before you release the arrow than when you hunt with a gun. If you don’t go through each one of those steps correctly, the arrow won’t go where you want it to go. In the heat of the moment, when you have an animal in front of you, and you’re all excited, you easily can forget one of those steps or not perform one of those maneuvers accurately, and then you miss the shot. Sometimes all those steps feel like a big pile of mush in my brain, especially when I’m excited. I have to mentally go through the gymnastics to make sure: I’m hitting the anchor point where I’m supposed to; I’m not torquing the bow; my hand is loose on the bow; and I’m not squeezing the bow. Also when I’m aiming, I have to be certain I’m looking at the right pin on my pinsight. This was the first time I had hunted whitetails without my dad, which was a really big thing for me. Because we were producing a television show, I obviously wanted to do a good job to show him that I could get a good TV show without him being there to help me. Luckily, I had Brian Wojo, one of my dad’s head guides, with me. Brian has such a long last name that we’ve shortened it to Wojo. Since I’d grown up with Brian, I was really comfortable having him on the hunt with me. However, I felt a lot of pressure to perform and do a good job, because Brian was giving up his time to go with me on this hunt. Also, we had a new cameraman with us, who didn’t know how we did things on our TV show. I had the responsibility of making sure we got all the footage we needed to produce this TV show. I was trying to teach the new cameraman what we liked to have shot, why we took the videos we did, and why we did things our way. To make matters worse, we sat in the blind all morning and afternoon until dark for 9 days and didn’t spot a buck we wanted to take. If the buck we were after finally showed up, I knew I had to make a perfect shot. These thoughts were all running through my mind all day, every day. We had three people in the blind – all waiting on me to make a perfect shot on a trophy whitetail. I knew that everyone on this hunt had put in a lot of time and effort for me to attempt to take a big whitetail, so I was under a lot of pressure. Every year in Saskatchewan, we set out Stealth trail cameras around all of our stands. This year, we only put up four stands with cameras, because I was going to be the only person hunting there. Most years, we put-up 10 stands with 10 trail cameras on them, along with Primos (http://www.primos.com) popup blinds, and several scissors blinds. The scissors blinds look like a pair of scissors closing. We have a hunter who is a paraplegic. We got these blinds, so he could roll his wheelchair up into them and hunt from these blinds without having to climb. We set up our Stealth trail cameras (www.stealthcam.com) during the summer months to try and find a mature buck that we could take, when we came to the ranch to hunt. I like the trail cameras, because then we can study the bucks that are coming in to each stand. We can see what their antlers look like, and we can see how big their bodies are. Also, we can discover the best time and the best place to try and take these mature bucks. We like to let the bucks on our property reach maturity before we take them. Many times, we’ll have a buck come in that we normally will take. Often, we second guess ourselves about how big that buck will be the next year. 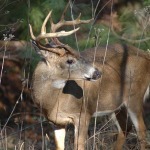 We want to take the most-mature buck we have on our property, each year. The Stealth trail cameras help us make that type of decision and recognize the shooter buck when he shows up. On this hunt, the buck I wanted to take was at least 6-1/2-years old – a really-big buck. He was the only one that I was after. We had trail-camera pictures of this buck for 2-1/2-weeks, but he was only coming in to our stand after dark. But on day six of our hunt, the buck started showing up during daylight hours. However, we couldn’t hunt him because the wind direction was wrong for three afternoons. We were hunting in other spots, hoping he might show-up at one of our other stand sites, but he never did. To learn more about deer hunting, you can get John E. Phillips’ Kindle eBooks and some print books, “How to Hunt and Take Big Buck Deer on Small Properties,” (John’s latest book), “How to Hunt Deer Up Close: With Bows, Rifles, Muzzleloaders and Crossbows,” “PhD Whitetails: How to Hunt and Take the Smartest Deer on Any Property,” “How to Take Monster Bucks,” and “How to Hunt Deer Like a Pro,” or to prepare venison, get “Deer & Fixings.” Click here to get these books.